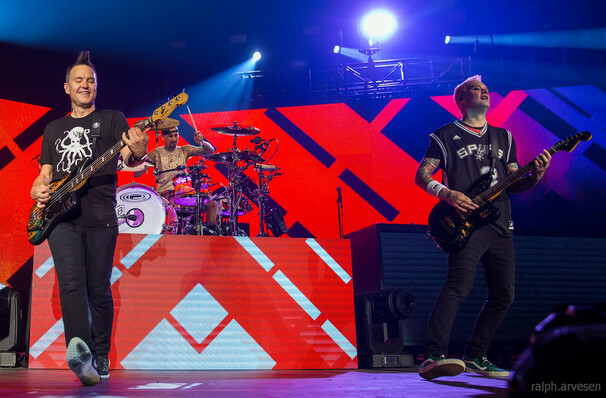 Blink 182 in their first ever Vegas residency! Blink and you're in Vegas! 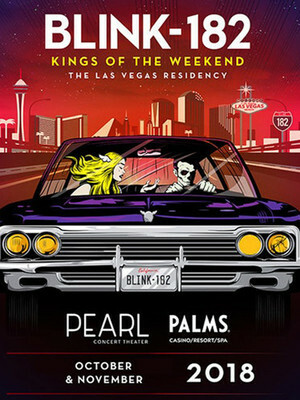 Rockers Blink 182 are taking over The Palms in their first-ever Las Vegas residency. The Grammy-nominated trio, who are known for their high energy performances and lyrical humor, will rock out at the new renovated world famous Pearl Concert Theater for 16 dates. The band will play a mix of their greatest hits that have spanned across their 25 year career, including the 90s anthems 'Small Things' and 'I Miss You', alongside songs for their most recent album, 2016s California. Tom DeLonge will not be joining the band in performances, Blink 182s newest member Matt Skiba will be taking his place in performing vocals and guitar. Sound good to you? Share this page on social media and let your friends know about Blink 182 at Pearl Concert Theater. Please note: The term Pearl Concert Theater and/or Blink 182 as well as all associated graphics, logos, and/or other trademarks, tradenames or copyrights are the property of the Pearl Concert Theater and/or Blink 182 and are used herein for factual descriptive purposes only. We are in no way associated with or authorized by the Pearl Concert Theater and/or Blink 182 and neither that entity nor any of its affiliates have licensed or endorsed us to sell tickets, goods and or services in conjunction with their events.